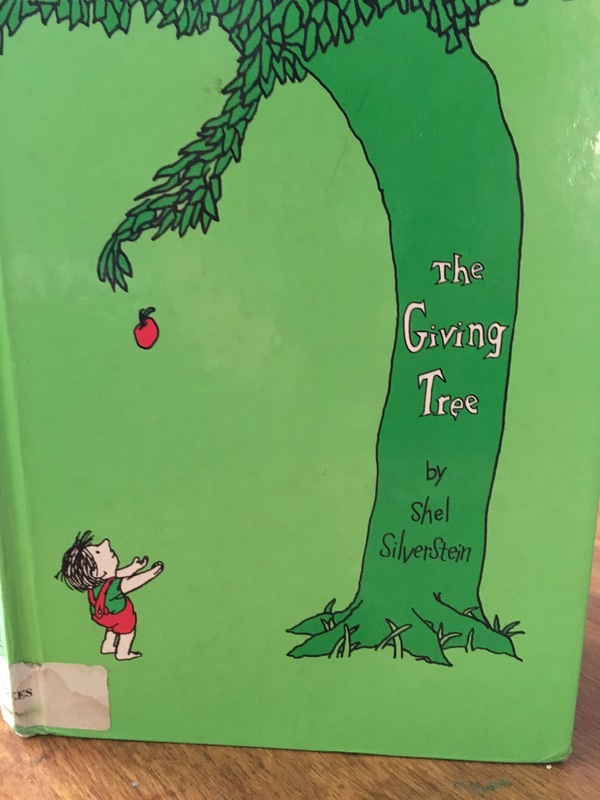 The children listened to the story, “The Giving Tree”, by Shel Silverstein. This story has simple words and drawings but displays the meaning of unconditional love in a big way. We talked about how the tree was always there for the little boy, ready to serve as best as she could. We then talked about our project and how every material we were using comes from a tree. 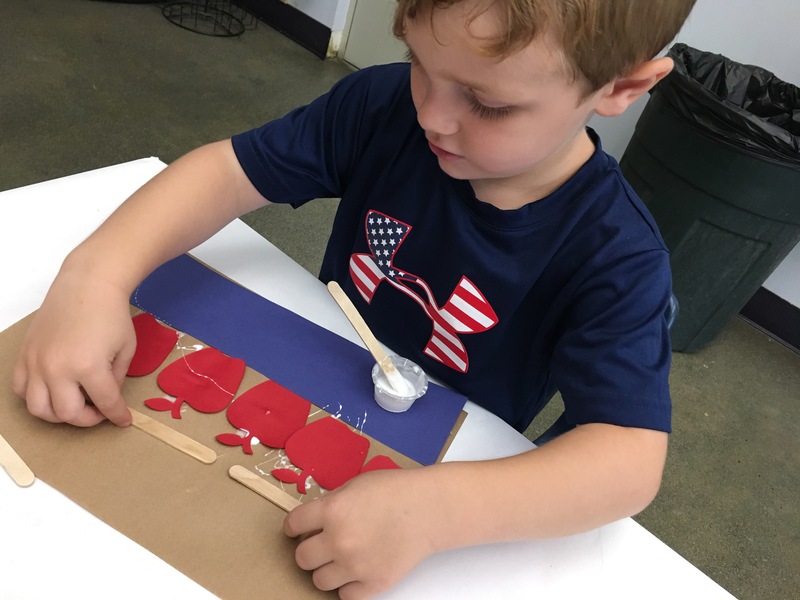 The paper, the popsicle sticks, all comes from a tree. 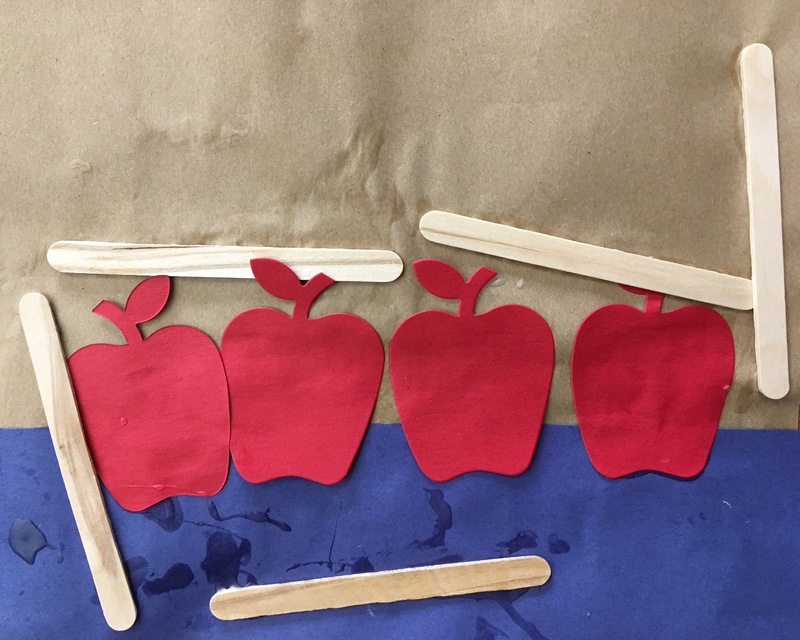 They then created a collaged still life of apples in a basket. The compositions varied, as some had their apples inside the basket, others had the apples outside with a few inside. 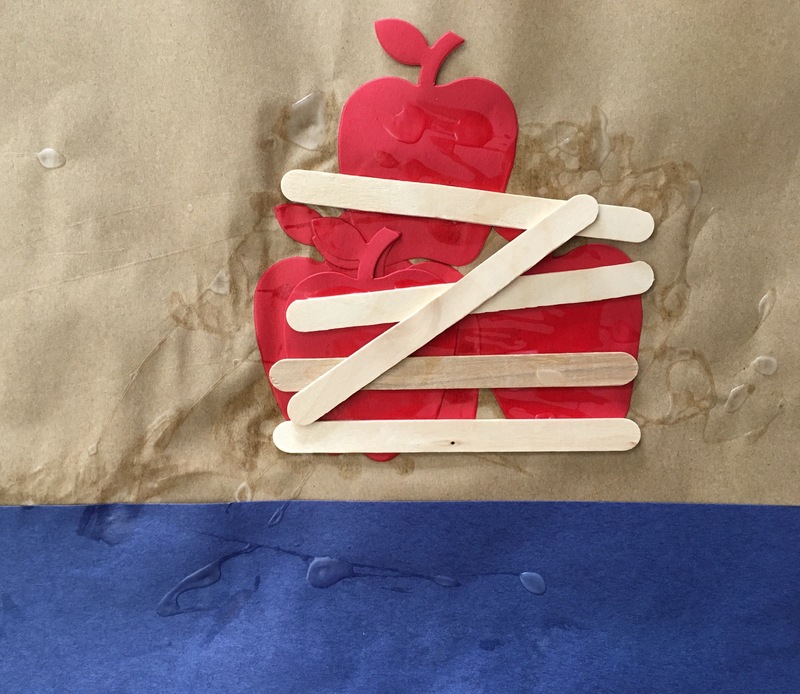 And one even created a spilled basket with apples rolling out. 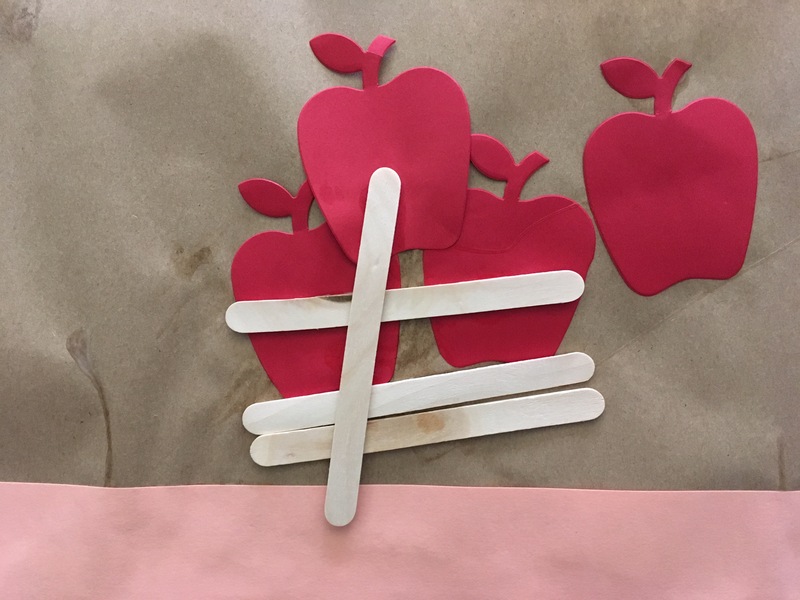 There was even a composition of “apple popsicles”. 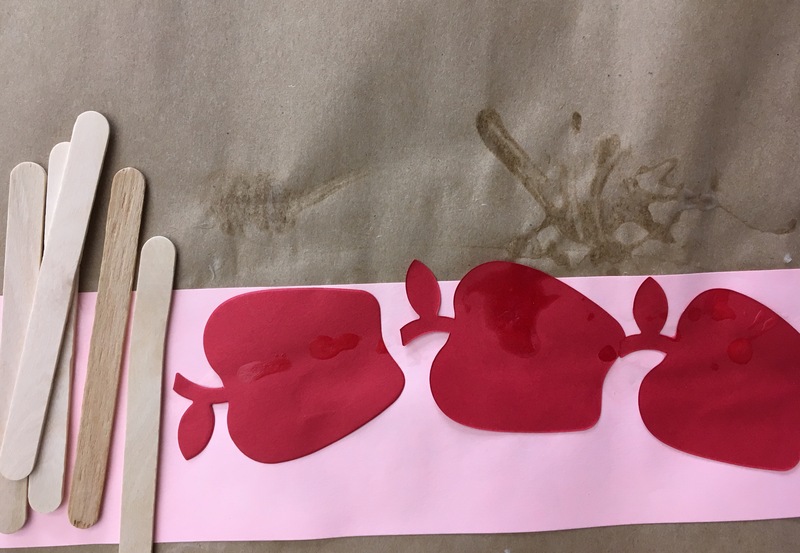 🙂 The imagination and movement in every single piece reflects all the possibilities in this still life project. Next Next post: Self Control and Waffle Week!